During the summer months, The stunning Westfjords are ideal for an unforgettable exploration. This is your unmissable chance to experience the most remote and untravelled corner of Iceland – a hidden paradise that cannot fail to take your breath away. A tour of the Westfjords really will open your eyes to the rich beauty and diversity that Iceland humbly offers up. From landscapes and wildlife to history and culture, you will be awed and inspired at every turn. There is always more to discover and experience in this secluded, unspoiled part of the world with our Westfjords experience. In the heart of Breiðafjörður Bay, Flatey Island makes an excellent stopping point on your ferry crossing to the Westfjords. Although it is the largest of the islands in the bay, Flatey is only about 2 km long and 1 km wide and is almost completely flat (hence the name). The old village is made up of a collection of charming houses, and there are no cars on the island, making it all the more serene and peaceful. As you enjoy a scenic walk around Flatey, you can expect to encounter sheep, chickens and plenty of migratory birds, including puffins. The way of life is relaxed and unhurried, and the views of the surrounding clusters of smaller islands will whet your appetite for your onward journey into the unknown. 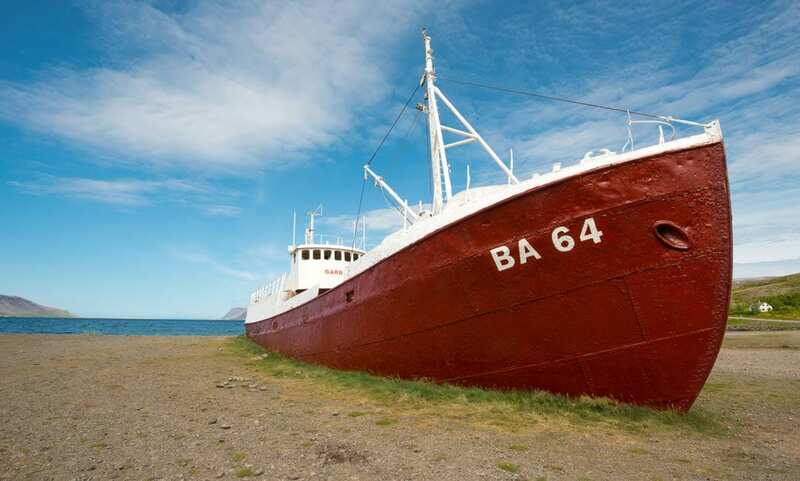 In the southern region of the Westfjords, Patreksfjörður holds a powerful place in Iceland’s history as it was an important fishing town and even pioneered trawler fishing. Today, fishing is still central to Patreksfjörður’s industry, along with increasing tourism. 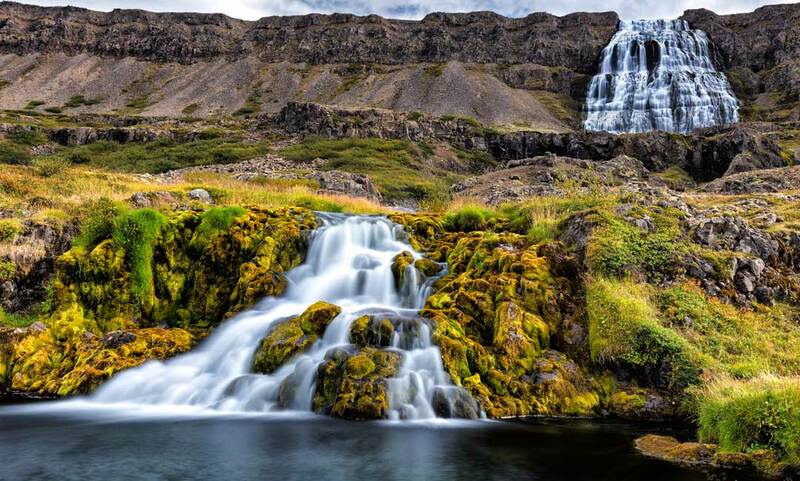 It’s not hard to see what draws so people to this part of the country in the summer months, with unmissable sights such as the Látrabjarg cliffs, the volcanic Rauðasandur beach, and Dynjandi waterfall just around the corner. The town also has a beautiful outdoor swimming pool, as well as natural hot springs. From hotels to guesthouses, there is accommodation to suit any adventurer. 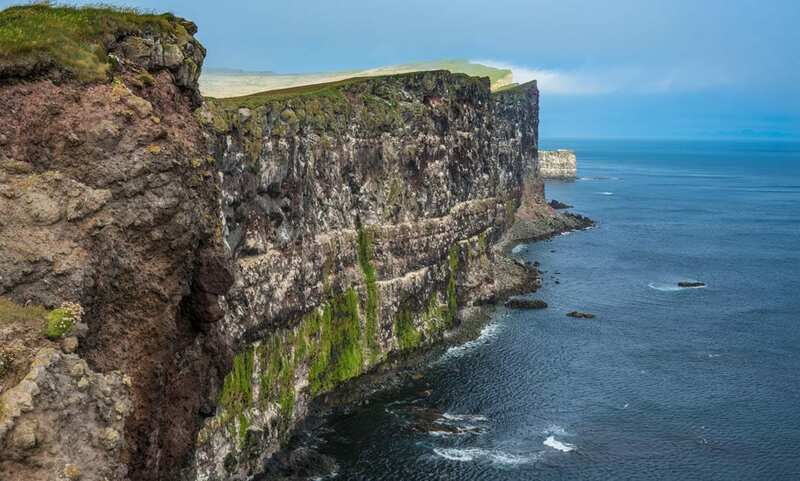 Marking the westernmost point of Iceland, the dizzyingly steep Látrabjarg cliffs are regarded as one of the most rewarding spots in the world for bird-watching. The promontory attracts millions of birds to its rugged landscape over the summer, including many particularly photogenic puffins, northern gannets, guillemots and razorbills. The puffins are protected and seem surprisingly unconcerned by their human visitors, so there are plenty of opportunities for intimate, close-up photography. They hatch and raise their chicks along this cliff line from May to August, so during the summer this remote part of the world can play host to up to 10 million puffins! The jewel in the crown of the Westfjords, Dynjandi is a majestic and awe-inspiring sight. 60 metres across at its widest point, the water cascades down various steps with the elegance of a bridal veil and the force to stop you in your tracks. Dynjandi, meaning “thunderous”, really does live up to its name! As you make your way up the rocky path to this point, though, there are six smaller waterfalls to admire along the way, each with its own unique beauty and character. There are plenty of viewing points and platforms, where you can take a well-earned rest and simply breathe it all in. 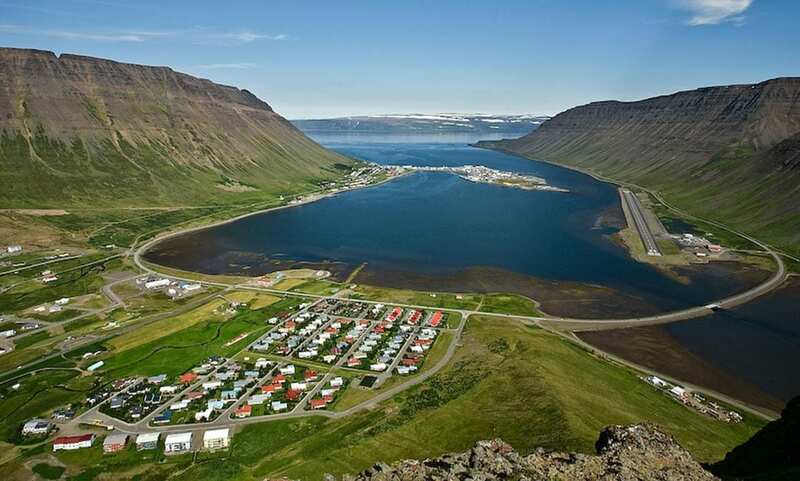 The town of Ísafjörður is known for its authentic character and dramatic landscapes. Originating on a spit of sand in the fjords, with a mountainous backdrop, Ísafjörður has a rich history as an important trading post. The quaint old town is made up of many 18th and 19th century wooden houses, with corrugated tin roofs, and the cultural centre, inhabiting the old hospital building, is home to some eye-opening archives and photography. A short hike into the surrounding mountains offers a whole new perspective on this picturesque town, as well as a chance to soak up even more of what makes Iceland’s Westfjords so unique. 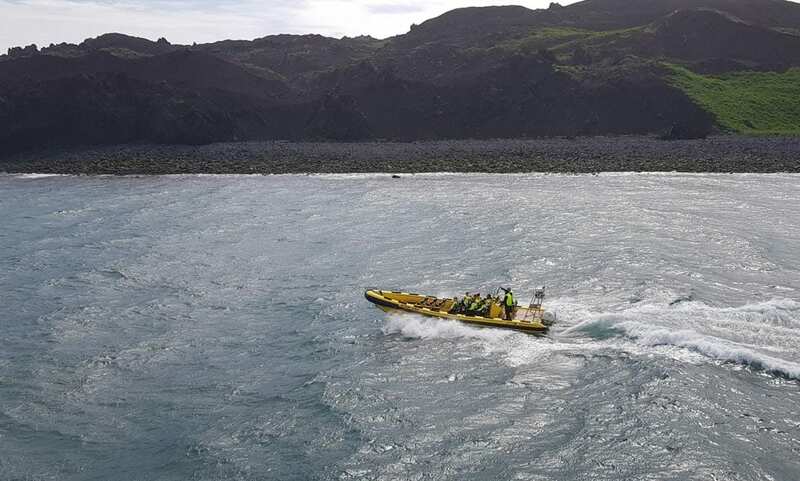 An invigorating RIB safari takes you from the fjord region of Ísafjörður into the welcoming arms of the locals at Vigur Island. During the summer, the inhabitants share the island with a vast population of puffins, eider ducks, Arctic tern, and other seabirds, and they are equally ready to host their human guests with refreshments and warm hospitality. 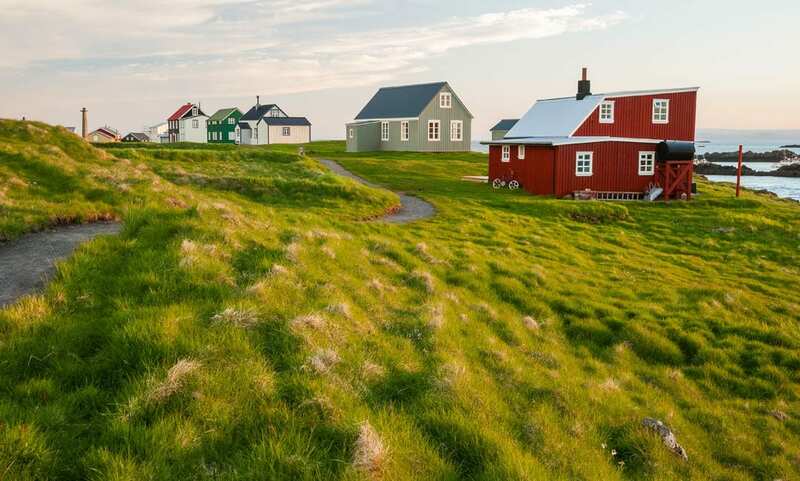 Its own Icelandic paradise, Vigur combines the natural wonder of vast seascapes, mountains and fjords with historical sights such as an enchanting 1840s windmill. The abundant wildlife around Vigur also includes playful seals, who are often spotted in the waters around the island.